Alas, the purpose of this particular blog post is not to delve into the psychological and/or philosophical implications of this euphemism; nor to explore our emotional responses and resulting choices. Actually, I am going to go at this with a different approach–a very practical approach. I am going to implore us to literally put the health of our gut at the top of our physical “to do” list. Please don’t check out here. No, this isn’t a “seeds of faith” post, it is a “seeds of health” one, but I implore you to keep reading. The information you read could literally transform your health as you know it. Or, it could transform the health of your child–which is exactly what happened in our family. I strongly and passionately believe that every parent, grandparent, teacher and caregiver should be equipped with the knowledge that I am about to share. It isn’t my own knowledge…it doesn’t originate with me. It has come from months of research and personal experience. (Oh how I wish someone had shared this knowledge with me two years ago). When I stop and think about the fact that I knew absolutely nothing about how important digestive health is to our overall health and well being…it makes me all the more urgent to share it with everyone I know. So I will say it again, please keep reading. You will not regret it! These statements are being proved correct as more and more scientific studies are revealing a strong connection between inflammatory diseases and an unhealthy gut: this includes Alzheimers, dementia, autism, ADHD, cancer, auto-immune disorders, depression and allergies. I have both read about and listened to many people who can testify to the dramatic change in their health when they began to heal their gut by consuming the right foods, incorporating pre and probiotics, taking quality nutritional supplements, and eliminating the toxic chemicals in their homes. I mentioned earlier that we walked through this journey with one of our own family members. Actually, I think each member of our family has been impacted by the healing of our digestive system, but the most tangible change has occurred in our youngest daughter. On this blog, she goes by the name Suns hine. 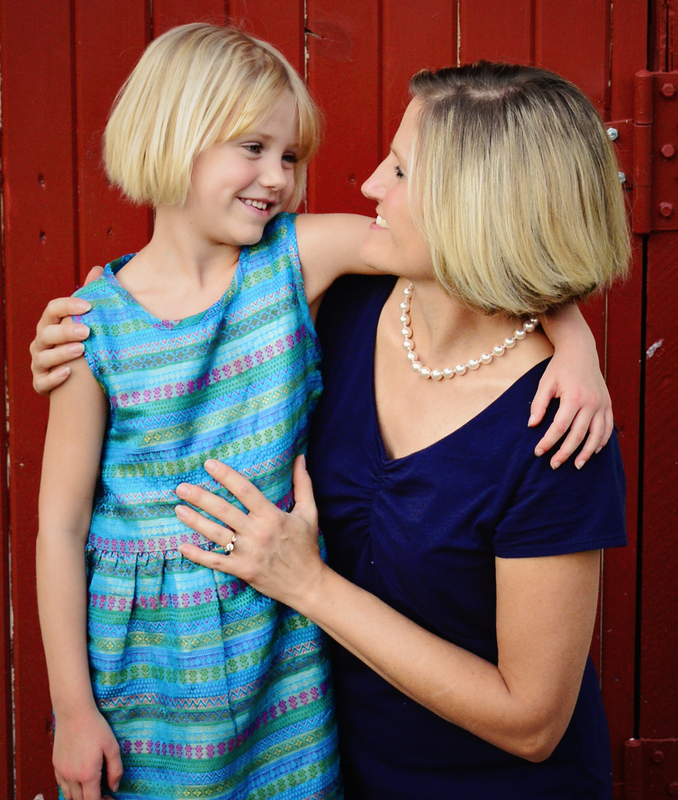 About a year-and-a-half ago, she began having chronic abdominal pain and nausea. We tried so many different things to help relieve her discomfort but nothing seemed to work. We put her on a lactose free diet, tried to remove other foods that could trigger an allergic response, began a protocol for acid-reflux (which included an acid reducing medication), and even started looking at gluten free options. We saw several different physicians, and ended up at Mayo Clinic to have a barrage of tests run. She was quite a trooper that day; what with all of the poking, prodding, scanning and testing she had to endure. After all of that, no conclusive diagnosis was given yet she was still having discomfort and nausea. It was beginning to interrupt her school day, as the nurse would call saying she felt sick to her stomach. She would sit out of different activities that she usually enjoyed. This was upsetting her quality of life–and mine too! I felt helpless. About 5 months into this health issue, we as a family had been experiencing some positive health changes from our Shaklee vitamin regiment. I was also beginning to listen to webinars, lectures and presentations about how nutrition can heal the body. It just makes sense, doesn’t it? God has given us vitamins, minerals, antioxidants, omega 3s, probiotics, good fats, protein, water, and so much more in the foods He has created. These are meant to give us optimal nutrition and health. A former student of mine directed me to a two-part lecture, given by an holistic M. D. in Texas. I now think of this presentation as “the hour that changed our lives” because he presented in a clear and articulate way the truths about how our digestive system functions (links will be provided below). When I think about the timing of watching this lecture for the first time, and where I was in my journey with Shaklee, I see no coincidence. This was the answer for which I’d been praying. I immediately began a protocol with Sunshine that would later prove to be the turning point in her suffering. She had already been taking a quality multivitamin which had eliminated her ear infections. We added to that regimen a probiotic (to replenish the good bacteria in her gut) and an omega 3 (fish oil). We also began to greatly reduce the kinds of foods that kill good bacteria and/or feed the bad bacteria (namely sugar). Slowly but surely, we were able to take her off of the prescribed medications completely and she has been free of them now for almost 10 months. And how is she doing? Well…she no longer misses any activity due to stomach pain or nausea. Her bowel movements are regular and normal. Her complaints are essentially non-existent. She is happy, healthy, and virtually free of any discomfort. On the rare occasion that she does complain, I give her an extra probiotic and feed her foods that help the probiotics do their work. I feel as though I’ve gotten ahead of myself here with our own story, so let me back up a bit and share with you what I have learned about digestive health. Good bacteria must outnumber the bad in order to have a healthy gut and subsequently a healthy immune system. 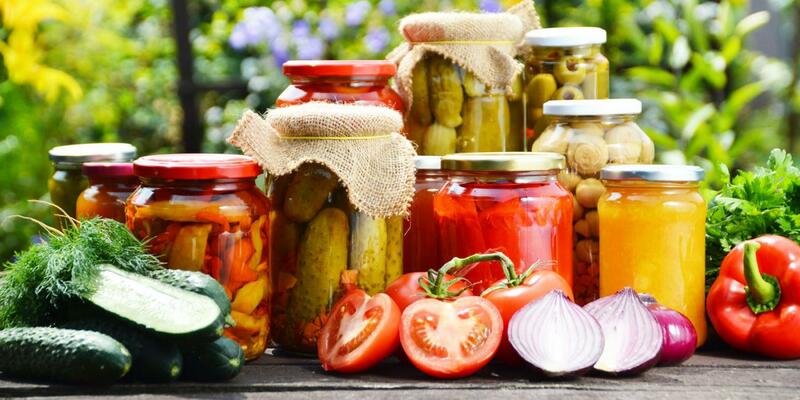 Bad bacteria feed on sugars and yeasts, so if our diet is full of these, our bad bacteria will outnumber the good. When this keeps happening, we begin to have a “leaky” gut. Leaky guts result in an over-reactive immune system which causes the inflammatory response to go awol. This can cause a variety of issues, from allergies to ADHD to Alzheimers. Did you know that depression can also be linked to an unhealthy digestive system? Scientists are discovering that the system in the body that is most sensitive to changes in gut bacteria is the central nervous system–namely the brain. There are many cases where people who have suffered with these and other diseases have noticed dramatic changes when their gut was healed and working properly. Change will not happen over night. Healing takes time and persistence. Yogurt (watch out for high amounts of sugar!) You can actually purchase a yogurt starter and make your own–minus all the extra sugar. You can also buy it plain and add your own fruit. Research the company to make sure the ingredients have been tested for purity. Make sure the capsule is coated in such a way that it will release in the intestines and not get eaten up by stomach acid. 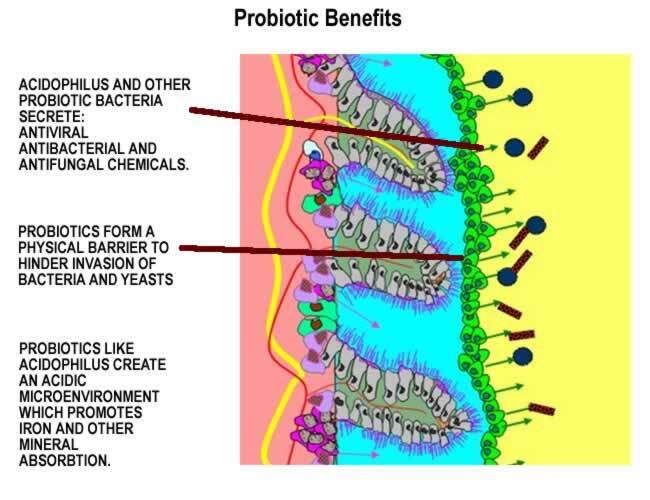 Many probiotic supplements out there won’t make it to where they are needed most. 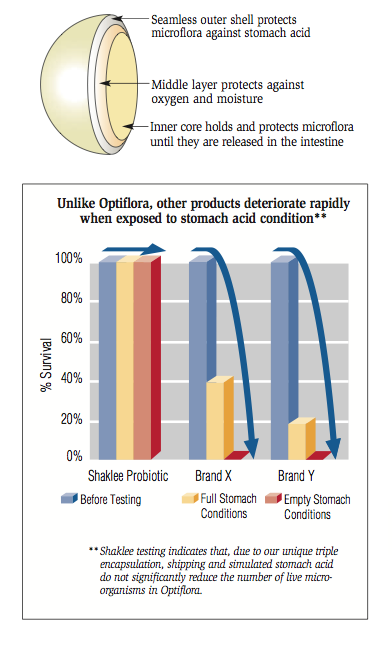 I get my probiotics through some of the foods above, and I take Optiflora and drink a Life Shake each day. 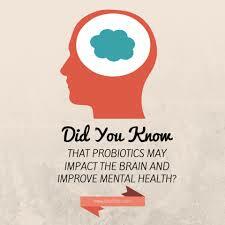 You can also purchase a prebiotic powder to help feed the good bacteria. 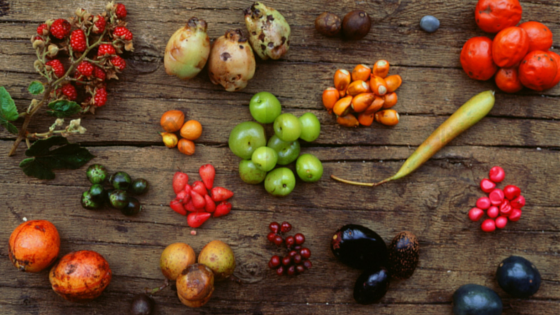 Studies are showing that the food we consume has the largest impact on our gut microbiome. Okay, I am going to be extremely blunt. The processed foods and sodas we are buying, eating and giving to our kids is wrecking their digestive systems. Many parents are getting rid these types of foods these days. However, many of the foods that are labelled as “healthy” in our grocery stores can be making things worse because they are loaded with sugar–and I mean LOADED. Granola, yogurt, juices and other cereals are packed with sugar. What I didn’t know for the longest time was that the good bacteria found in yogurt was essentially being rendered null and void by the accompanying 24 grams of sugar per serving! Plus, the bacteria wasn’t making it past my kids’ stomach acid to the place in the gut where it was actually needed the most! One of the most important changes we can make is to start reading the labels on the boxes, bags and cans of food we purchase. Read the labels!! Make sure your corn and soy sources have Non GMO on the label. Most corn and soy that is included on labels is genetically modified. Do not give your kids sodas & pop, especially diet drinks. These are wreckers of their digestive system and will affect their brain function. The more that we know about the foods we are consuming, the more power we have to change the nutritional state of our bodies. Please understand that I am not coming at this as though I know more than you do. I was ignorant of so much of this information, even though I was conscientious about what our family consumed. I am not a medical doctor. I am an avid researcher and am passionate about the health of my family and friends. I hope that this information has started you thinking about the health issues you or a loved one may be experiencing. I encourage you to read the books listed below and watch the video links. If you would like more information about the supplement regiment we have been on for the past year, please see the links provided below or contact me personally. I would love to help in any way I can. So…GO WITH YOUR GUT and watch the difference it can make in your health. Better Health in 31 Days Webinars: Here you can find webinars and testimonials relating to all manner of health concerns. Thanks, Megan! I am hoping that this message spreads and changes the health of all who read it!